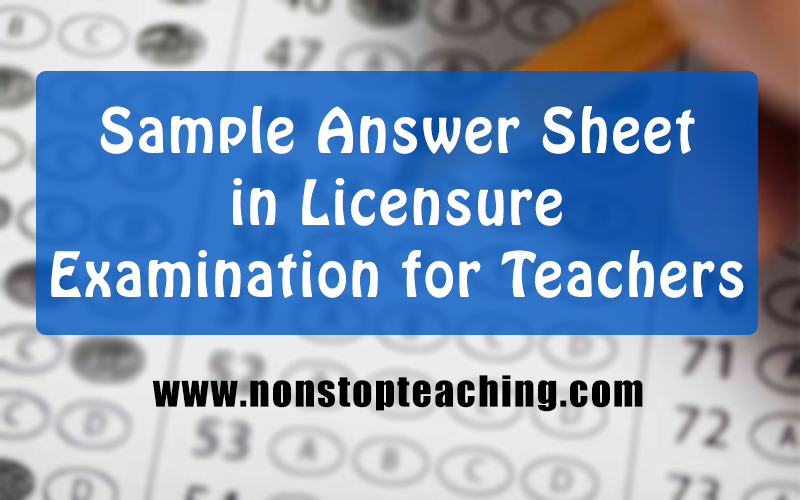 There are lots of things that you need to consider before taking the Licensure Examination for Teachers. Aside from practicing drill tests and answering LET Reviewer Questions, you must also try to practice the proper way of shading the Examination Answer Sheet. Where can you find those LET sample answer sheets for your practice? Worry no more! Because you can download it here FOR FREE. Available in pdf format! Get your copy from the link below! 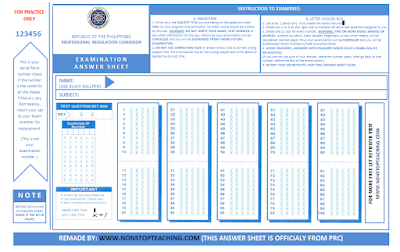 Free PRC Sample Answer Sheet for LET. 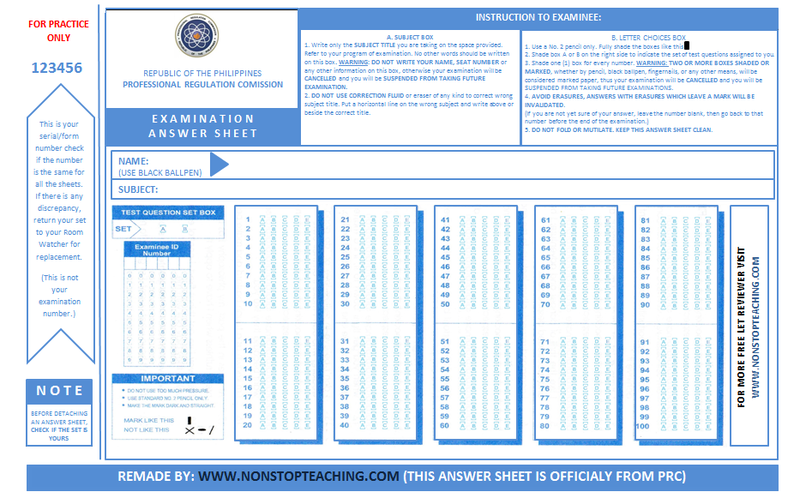 This is the CLEAR and free printable sample answer sheet for the Licensure Examination for Teachers (LET). Downloadable LET answer sheet pdf from PRC. This website is very helpful. MAraming salamat sa gumawa nito. God bless you more and more. Anong password po ilalagay para maedit yung document?